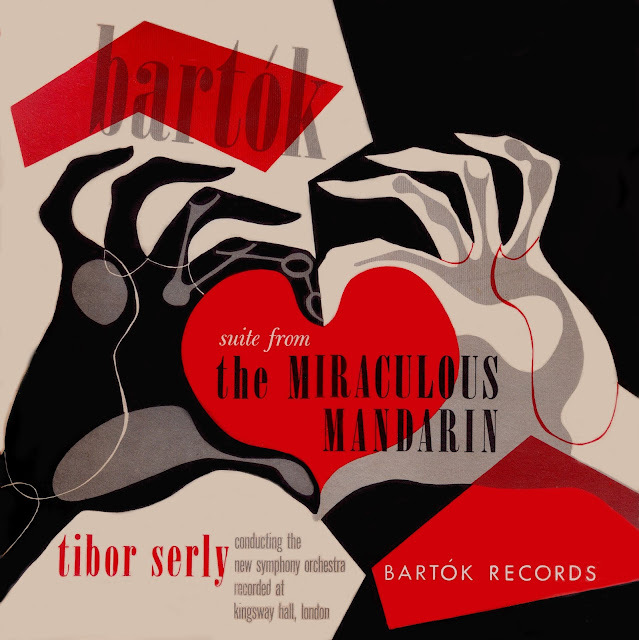 Bartok Records was formed in 1950 and until 1962 released LP records. Although at first concentrating on the compositions of Bela Bartok, eventually they branched out to other composers as well. 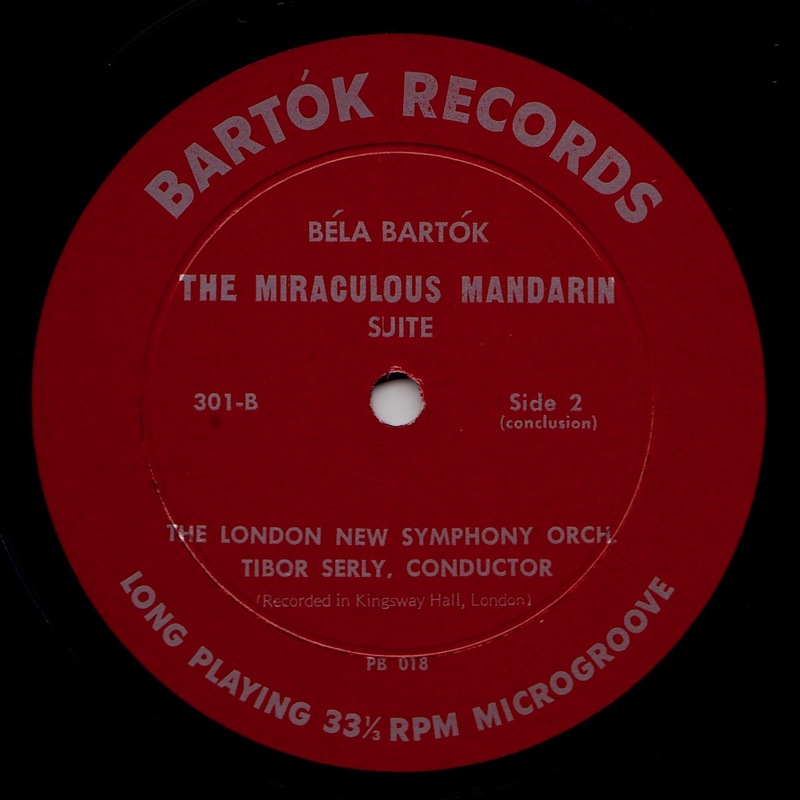 This LP features a suite from Bartok's ballet, 'The Miraculous Mandarin,' with Tibor Serly conducting the "New Symphony Orchestra" -- apparently a collection of UK orchestra musicians -- and recorded at the legendary Kingsway Hall, London. It is glad to see your new blog,Welcome! You are all very welcome and I am honored by your good wishes. 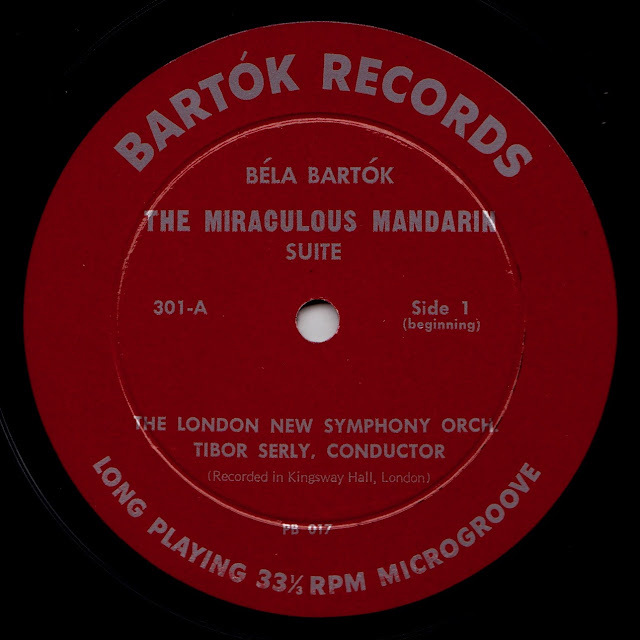 I hope to serve the interests of music by this blog and to make great music and great interpretations available once again to music lovers everywhere. I just love the fact that you can get music in different qualities. Also, the scans are in perfect condition. Well done, and good luck with your blog. I have bookmarked it already. Thank you so much, this blog is wonderful! 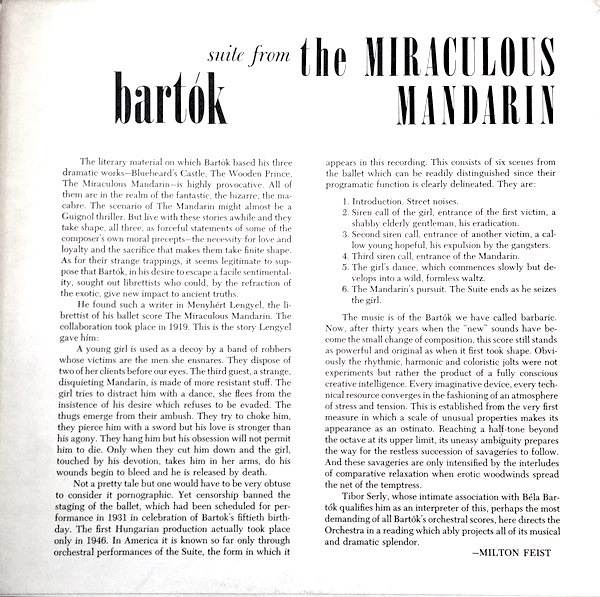 Very interesting cover art! Love your blogs.